Broccoli was another ingredient in my box of produce from Black Sheep Farms. My husband loves broccoli. Currently my favorite way to enjoy broccoli is serving it roasted (directions at the bottom of the page). Since it is Father’s Day weekend, I am doing a special recipe for my husband. 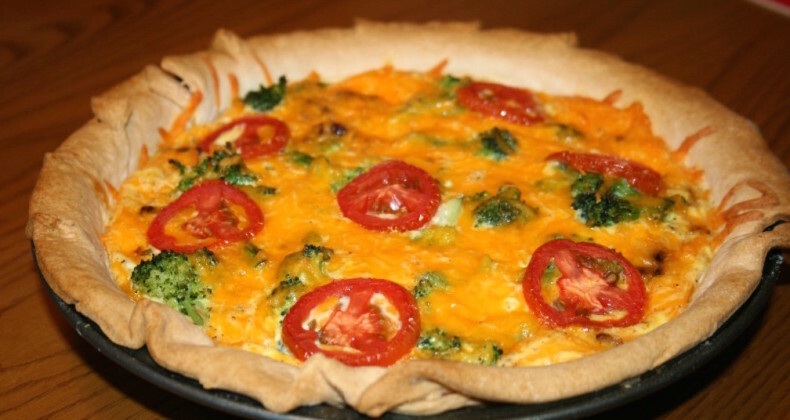 Broccoli Quiche. I made a ham and broccoli quiche, and a sausage and broccoli quiche. You can use your favorite breakfast meat or leave the meat out entirely. Brunch type foods are my favorite and these quiches are no exception. It is a great way to use ingredients that are in season. The great thing about this recipe is that you can choose the ingredients according to your personal preferences, it is also a great way to use up your leftover meat and veggies. Another great thing is that aside from the pie crust, I could find all the ingredients at my local farmers market. Buy Fresh, Buy Local, and eat a damn good meal! Place pie crust in 9 inch pie tin. 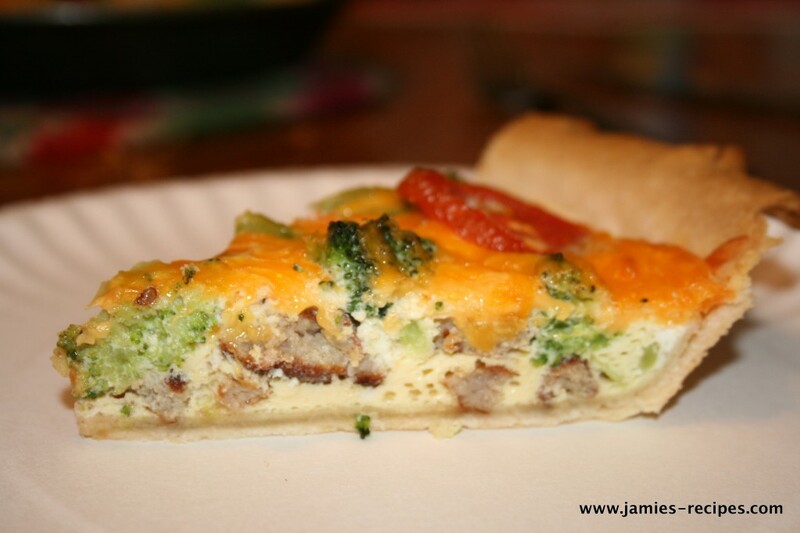 Place cooked sausage in bottom of pie crust and top with steamed broccoli. Beat eggs and milk together until thoroughly combined. Add onion powder, salt & pepper and 1/2 c cheese, to egg mixture and stir well. Pour egg mixture over sausage and broccoli. Sprinkle the remaining 1/2 c cheese over the "pie". Lay tomato slices over everything. Bake for 25-30 minutes, or until egg mixture is set. ENJOY!